Two Amazon sales today will be of particular interest to co-op fans. 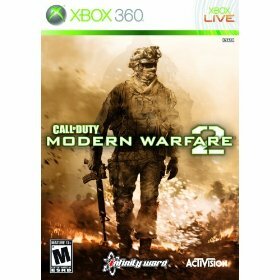 The XBox 360 version of online juggernaut Call of Duty Modern Warfare 2 is discounted, down to $39.96. If you prefer comic book style Juggernauts, then Marvel Ultimate Alliance 2 is a good bet (though Juggy is only available as DLC). The game was recently discounted down to $40, but today's sale allows you to pick up the Wii, 360, or PS3 versions for a mere $19.99. The game wasn't as good as it's predecessor, but it's worth playing at that price for the story, alone. Click on the boxart for the deals, and help support Co-Optimus! Page created in 0.2198 seconds.